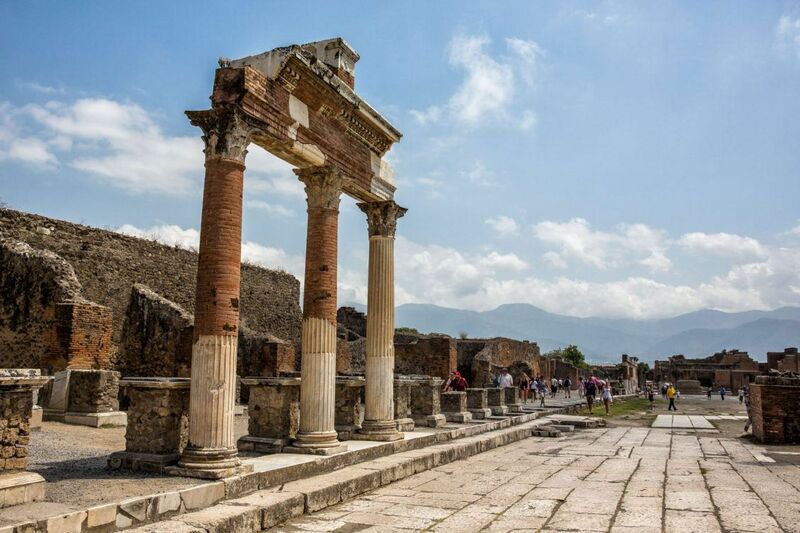 A visit to Pompeii is one of Italy’s most fascinating history lessons. 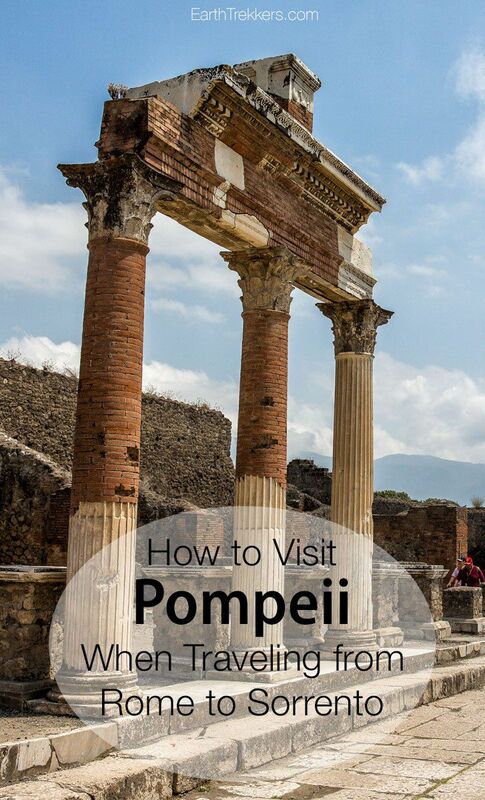 Pompeii can be visited as a day trip from Rome, Sorrento, Naples, and the Amalfi Coast. 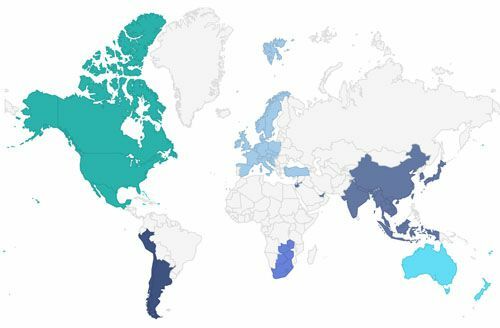 For those in transit between any of these cities, Pompeii makes a nice, quick side trip. Here’s how to do it. If you are traveling from Rome to Sorrento, Pompeii makes a nice stop in between. It’s relatively easy to do and it makes sense to see Pompeii on the way to Sorrento since you pass right by it. From Rome, take the train to Naples. 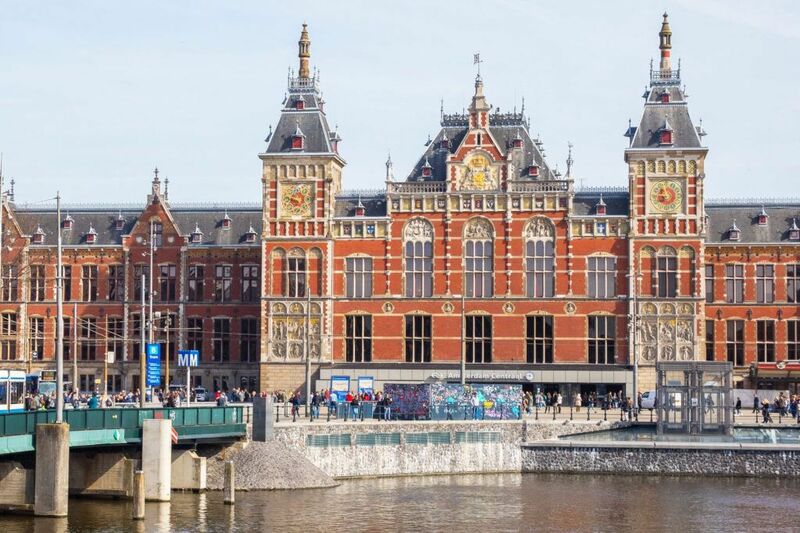 This journey takes between 70 minutes and two hours, depending on the train you choose (the high-speed Trentalia trains and the Italo trains are faster, the Trenitalia Inter City trains are slower but cheaper). Plan on taking an early train to Naples. Leaving Rome at 8 am gets you into Naples at 9:15 am. Important! : When booking your train tickets, make sure you arrive at the main train station in Naples (Napoli Centrale). The train to Pompeii leaves from this station. From Naples, take the Circumvesuviana train to Pompeii. It takes 36 minutes to travel from Naples to Pompeii. Upon arrival in the Naples train station, follow signs for “Circumvesuviana.” The train platform is downstairs. You can purchase tickets at the ticket office located next to the platform or at the newspaper/tobacco shops in the train station. Purchase a ticket to Pompeii Scavi (€3.20). Trains leave approximately every 30 minutes. There is no need to purchase this ticket in advance. (Click here for the Circumvesuviana timetable). Make sure you validate your ticket before getting on the train. The Circumvesuviana is a commuter train, a local train that is more like the subway in New York City than the Italian high speed trains. There is no air conditioning and during the summer months it can get quite hot and crowded on this train. Sometimes it can be standing room only. And beware of pickpockets, not only on the trains but also in the train stations. 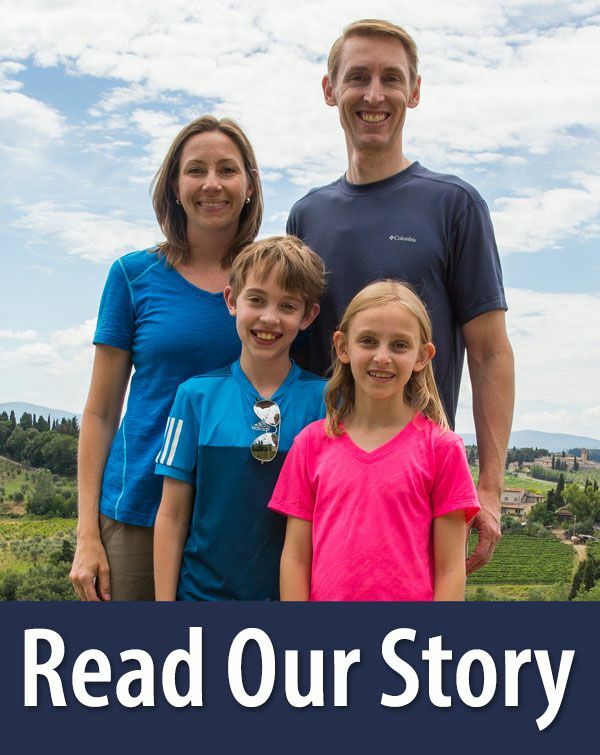 So why travel the Circumvesuviana train? Because it is convenient and very budget friendly. 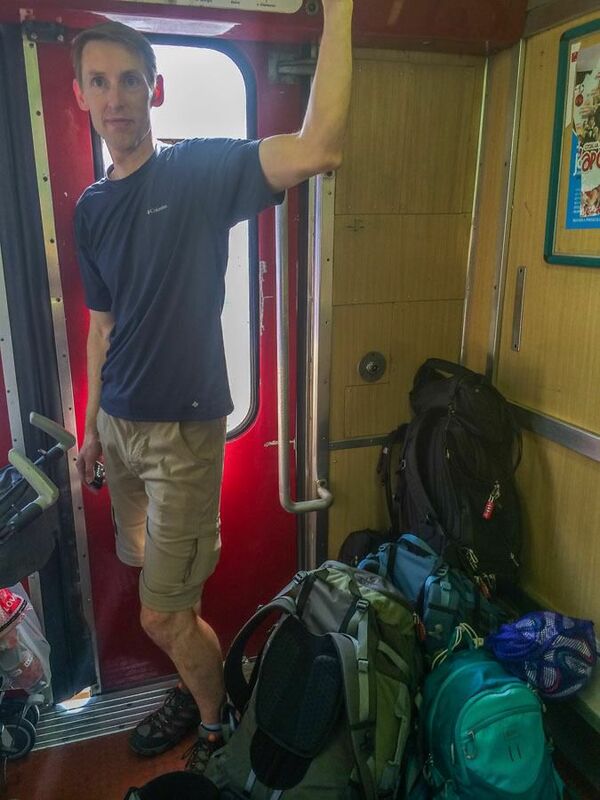 Pro Travel Tip #1: If you are traveling with luggage, it’s best to put it in the overhead luggage racks or stand with your luggage in the standing areas near the doors. If you put your luggage between you and the wall, this will help deter pickpockets. Pro Travel Tip #2: Napoli Garibaldi station is the name of the Circumvesuviana platform located inside of Napoli Centrale, the main train station in Naples. This is stop #2 on the Circumvesuviana route. Most people board the train at this stop so it can be very difficult to get a seat. 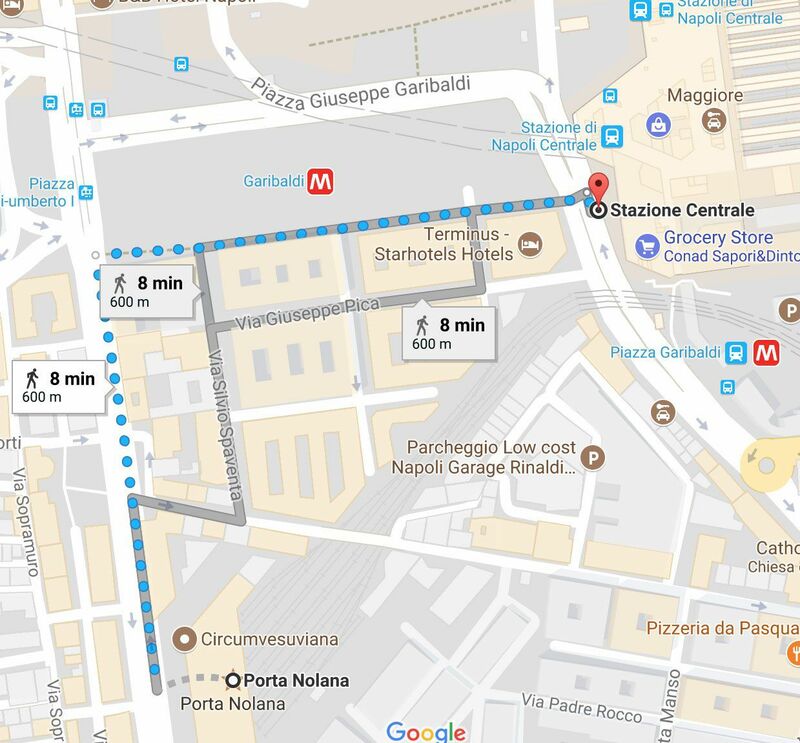 If you don’t mind walking, you can exit Napoli Centrale and walk 8 minutes to the Porta Nolana station, which is the first station on the Circumvesuviana line. Doing this will almost guarantee you a seat and an overhead luggage spot. Luggage is not allowed inside of Pompeii (no bags larger than 30 x 30 x 15 cm). If you are traveling with luggage, you can store your luggage in the luggage storage facility (deposito bagagli) in the lower level of the Pompeii Scavi station. The cost is €8 per bag. Important Note: There has been some confusion about the luggage storage facility in the Pompeii Scavi train station. This luggage storage is still available (and confirmed by one of our awesome readers who just used the facility on January 15, 2019). It is located downstairs and costs 4 euros per bag. I am aware that the Italia Rail website mentions that there is no luggage storage facility at the Pompeii Scavi train station. This is wrong information. You can either store your luggage at the Pompeii Scavi train station or at the entrance to Pompeii. If you have any questions, check out the comment section below for more information. And if you have anything to share about luggage storage at either location, feel free to share that in the comments as well. There is a free cloakroom at the Pompeii site where you can leave your luggage. However, the Pompeii website warns that they frequently run out of space. If you arrive mid morning or later, there may not be available space to store your bags. Therefore, you may be better off storing your luggage at the train station. We used the luggage storage facilities at several occasions in Italy without any problems. From the Pompeii Scavi station, it is a five-minute walk to the entrance of Pompeii. You can purchase your tickets at the Pompeii entrance. It costs €15 per person, cash only. Lines can be long, especially midday. To avoid the lines, you can purchase your tickets online one day (or more) in advance. You can spend as little as an hour or two visiting Pompeii, although for most people, it takes at least half a day to see it all. 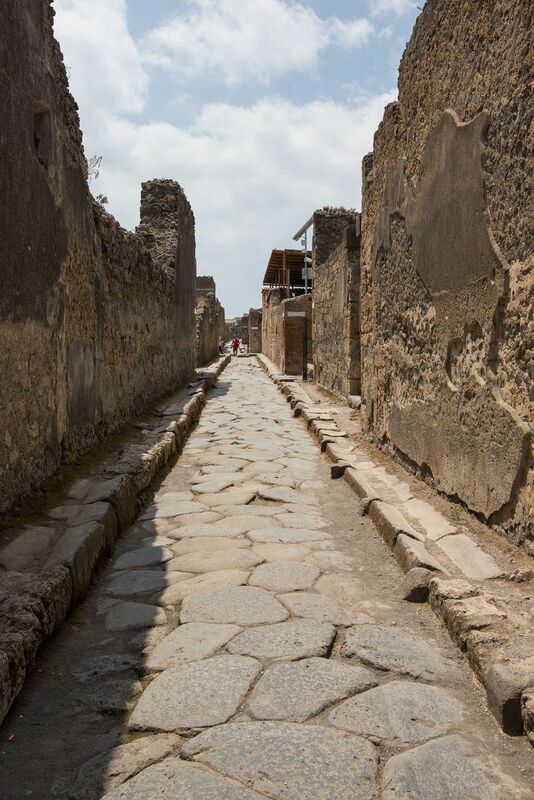 We wandered through Pompeii using Rick Steves’ tour in his guidebook. 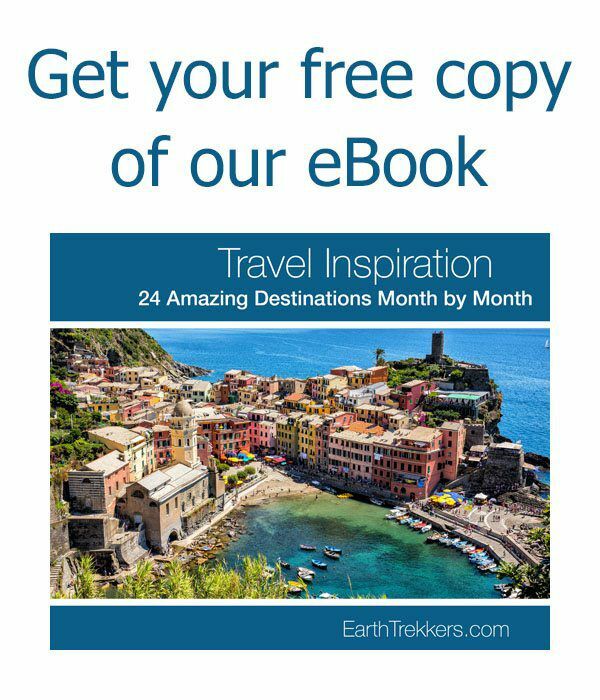 This is a good way to get an overview of Pompeii at a cheap price. Audioguides are available for €8. However, if you want to learn more, consider hiring a guide. Guides linger around the entrance to Pompeii (roughly €12 per person for two hours for a group tour, roughly €200 for a private tour). After your tour of Pompeii, walk back to the Pompeii Scavi station, retrieve your luggage, and purchase a ticket for the Circumvesuviana line to Sorrento. From my research, it is not possible to purchase one ticket from Naples to Sorrento, getting off a Pompeii, and then using that same ticket to travel onward to Sorrento. The daily ticket was eliminated several years ago. When you buy a ticket from Naples to Sorrento, it is only valid for 180 minutes. It takes 70 minutes to travel between Naples and Sorrento, so you would literally have to run through Pompeii in order to get away with using only one train ticket. The savings would be minimal and not worth the stress of rushing around. From Pompeii to Sorrento, it takes 30 minutes and costs €2.40. 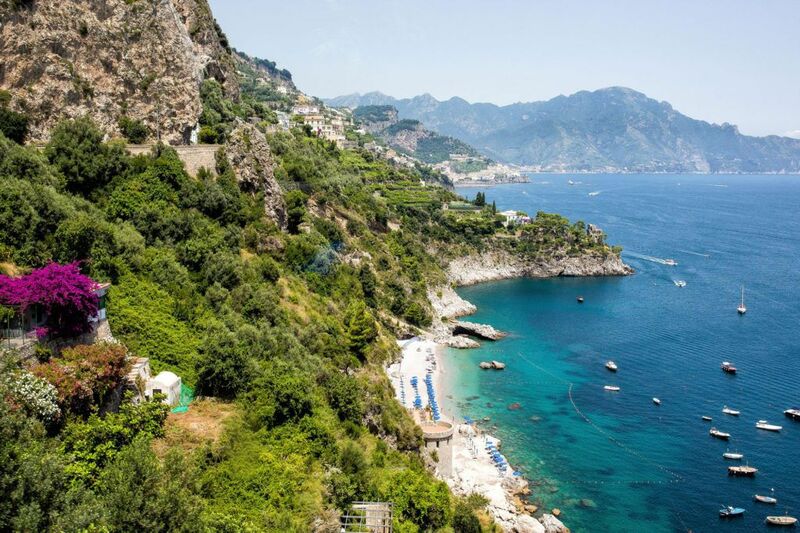 To get from Pompeii to one of the towns on the Amalfi Coast, you have several options. 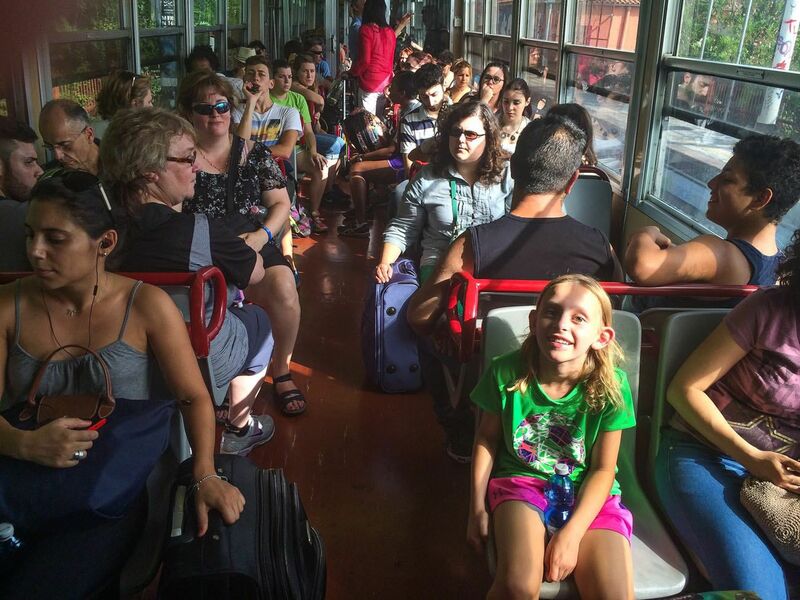 Using public transportation, you can take the Circumvesuviana train to Sorrento. 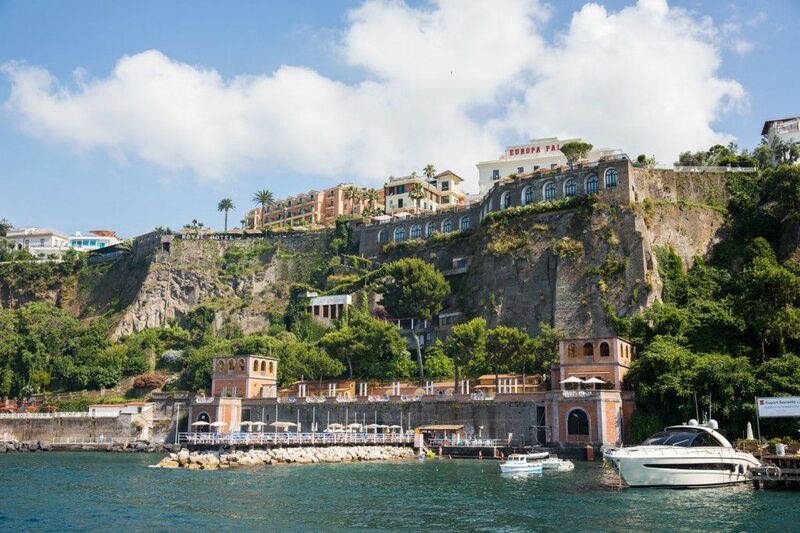 From Sorrento you can take a ferry, a private driver, or the SITA bus to Positano or Amalfi. The only direct way to get from Pompeii to the Amalfi Coast is by taxi or by hiring a driver. This is much more convenient than making multiple transfers, but it will cost more money. There are two competing companies in Italy, Trenitalia and Italo. Italo is the newer of the two, first opening for business in 2012. 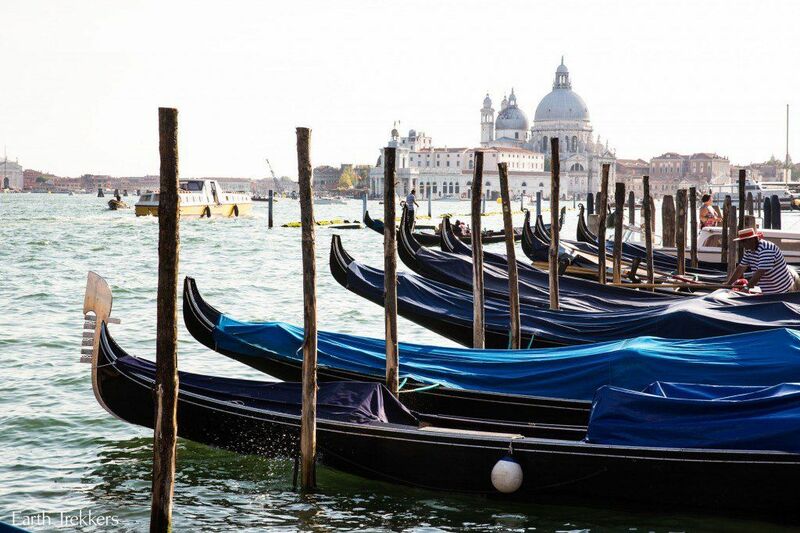 They offer slightly cheaper fares than Trenitalia if you book your tickets in advance. Purchasing tickets in advance is not necessary but it does have advantages. 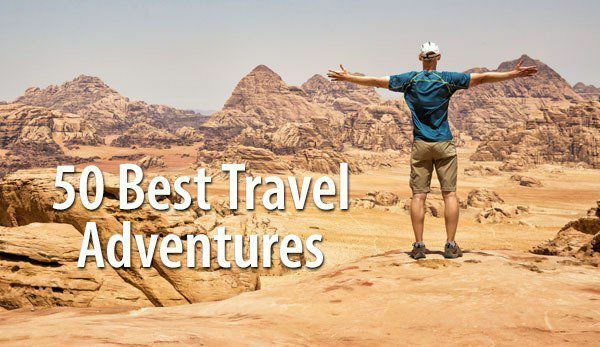 The main advantage is getting a cheaper fare. As more seats are sold in advance, ticket prices go up. The best time to buy your tickets is right after the seats are made available. Tickets are available for purchase 60 days in advance with Trenitalia and 4 months in advance for Italo. Also, making an early reservation guarantees you a seat on the high speed trains. You cannot purchase tickets for the Circumvesuviana line in advance. To book tickets on Trenitalia, we recommend the ItaliaRail website. It’s a little easier to use than the official Trenitalia website, you can enter in city names in English, and they do offer some upgraded seats at discount prices. Are you going to Pompeii? Comment below if you have any questions or any advice for our readers. We are heading to Pompeii in mid-September, and your post was just what I was looking for in terms of which trains, luggage storage, etc. Thank you so much for the tips! Gonna check out your Sorrento post next. You didn’t happen to post anything on Sicily, too, did you? 🙂 Thanks again. When purchasing a ticket online to visit Pompeii it only allows the time to be selected at 8:30. Our train does not arrive until 11:00. Is that ticket available to use all day (at whatever time we arrive) or do we have to be there at 8:30 to use the online tickets? 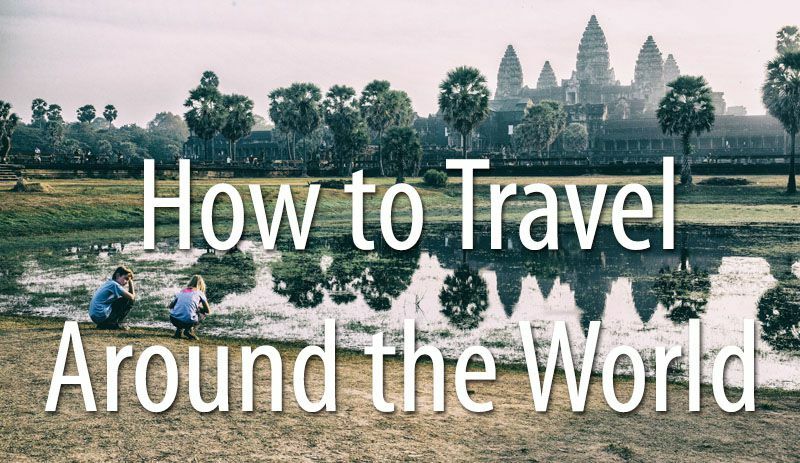 This post helped us a lot with planning our trip! 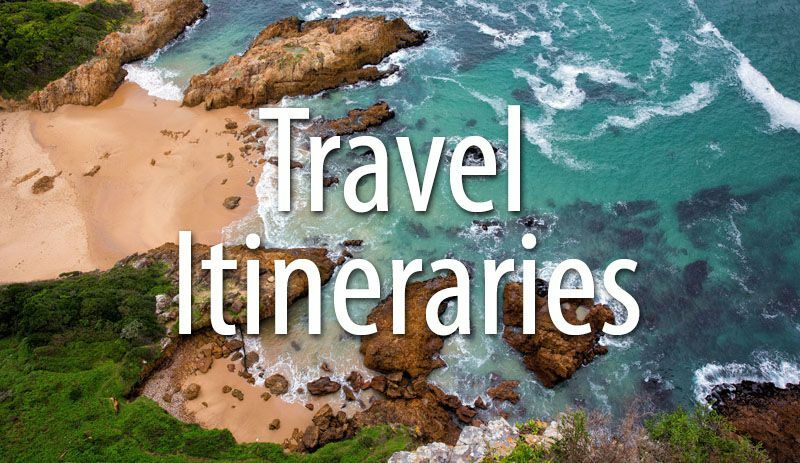 We are traveling to Rome on March 11, 2019 and want to plan a day trip to Amalfi Coast and Pompeii. Your tips are excellent and we are looking forward to the day. However, many sites state that the stores and restaurants are closed in March. Is it a good time to visit? 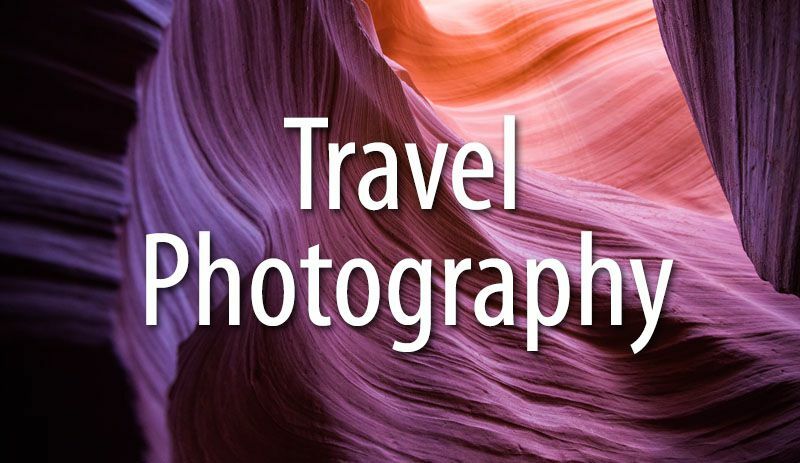 Do you know of a good day tour company that can take us from Pompeii to the coast? There re 4 in the group. Thank you so much for the detailed information. We used your suggestions today four our first visit from Naples to Sorrento, with a stop in Pompei. We did in fact check our luggage (1/15/19) in the Pompei train station. The storage counter is located downstairs. It was 4 Euros per bag. There was additional luggage storage at the Pompei ticket counters. We were told they were free, but I did not personally check. Thank you for the information. Can you please tell me how big is that storage? Can a 20 kg 82 x 55 x 34 cm big luggage fit into it? Is there a time limit, til how long we can leave it there? We are planning to travel from Naples to Sorrento and stop in Pompei to visit the ruins and also to go up to Vesuvio, so it will take more than a few hours. I don’t know if you will check back to read these comments, but one of our awesome readers just confirmed that the luggage storage office is available and open in the Pompeii Scavi train station. It costs 4 euros per bag. Cheers! We’re going to Pompeii in May and from our research here and in Rick Steve’s book, the Pompei Scavi station should have luggage storage. The station that Trenitalia trains go to is just called Pompei station, so that may be why that link is not showing that they have it. Granted, I read that page and saw it mentioned Pompei Scavi, but it may be something lost in translation. The Circumvesuviana trains only go to Pompei Scavi from what I understand. Hope this helps, and I hope we’re right! Hello! We are going in September, with our daughter who will be 9 months old by then. Do you know any details about the other train service, Campania Express? Seems like a better (though slightly more pricey) option than the local train. Also, any recommendations on where to stay in Sorrento? Cheers! I am trying to buy advance tickets to Pompeii, but the ticketone website requires a VAT number? It seems to be like an italian SSN. Is there something I am doing wrong?